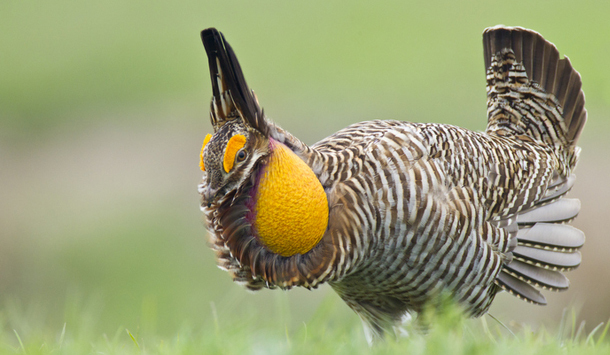 Many animals depend on little bluestem for food and shelter, including gamebirds like prairie chickens and grouse, and songbirds like finches and meadowlarks. It is especially valuable to wildlife in the winter when few other plants offer seed or structure for nesting. 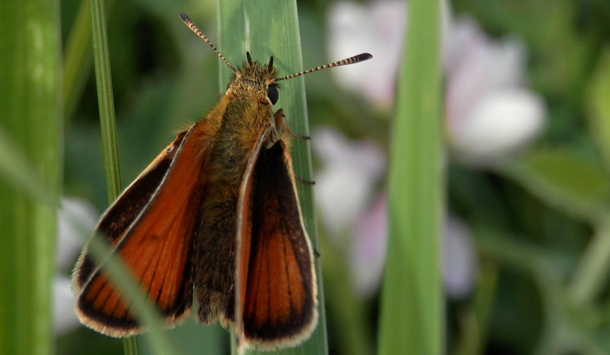 It is a larval host to a variety of skipper moths and butterflies. 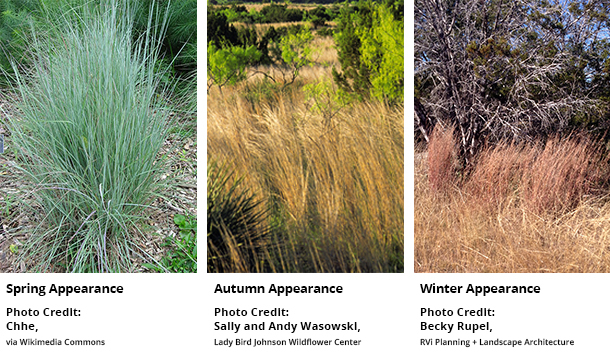 Little bluestem (or “little false bluestem,” since its genus is different than big bluestem’s, Andropogon) gets its name from its springtime color and typical height of 18 – 36”. This clumping/bunching grass is most recognizable and attractive through fall and winter, when it turns a brilliant red-brown with white seed heads. Little bluestem’s upright form and striking color makes it perfect for mass plantings along roadsides, throughout streetscapes, and in native gardens. 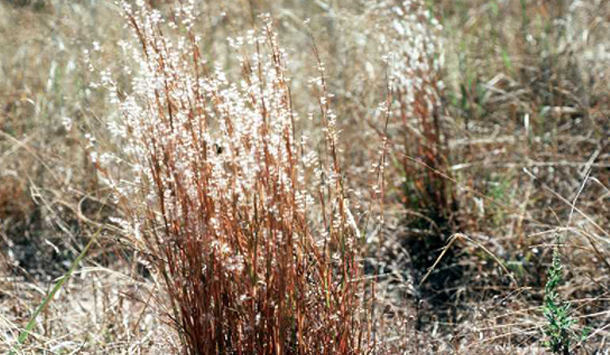 Found in prairie and savanna-like plant communities throughout North America, little bluestem is extremely drought tolerant and prefers full sun, though it will tolerate light shade. It does not do well in wet soils, and thus is not suitable for rain gardens or swales. Seeds are available commercially. Potted plants are available from nurseries specializing in native plants. As a warm-season grass, it should be sown or planted in the very early spring.